The last few months have been some of the busiest yet best in my life. While I finish my degree in Journalism, jewelry making is on a bit of a pause. I’ve been a busy chickadee. Three days a week, I work at a digital agency writing blogs and all sorts of other rad things. Two days a week, I’m cramming in the classes. Nights and weekends, I spend doing homework and spewing out articles on amazing Detroit people and locations. Jewelry is constantly in the background of my fast-paced brain, though. I spent the warm months searching for garage sale finds that I can turn into craft show display items. I’ve also been keeping my eye out for estate sale finds that I can use for jewelry creations or my craft show display. Anytime I had plans on weekends in the summer, I allowed for a lot of travel time before getting to my destination. That way if I saw a garage sale sign, I had ample time to check it out. I noticed these shutters propped against a tree at a sale that I would have otherwise passed by. 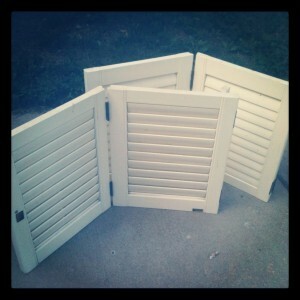 I’ve never bought shutters; I have absolutely no idea how much the things are worth. There was no price, so I offered the woman $5 for the pair. She took it! I plan to redo the paint job on ‘em, add some vintage flare and use them to display earrings. This garage sale find is gonna look awesome in my craft show display! I’m very fortunate that I live less than a mile from an estate sale company that often holds sales in their offices. 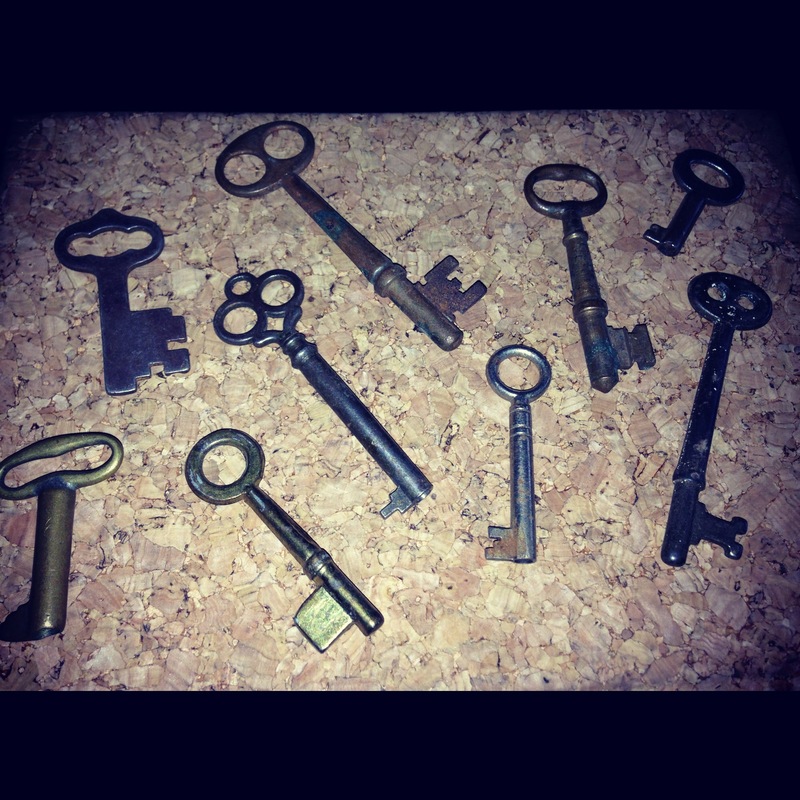 I check online and if I notice there will be skeleton keys or any other vintage finds, I do my best to stop by the sale. 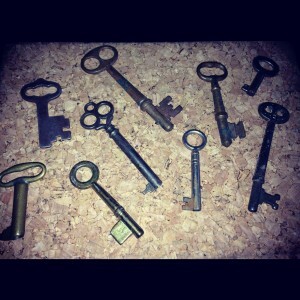 I’m so excited that I now have a decent collection of skeleton keys. 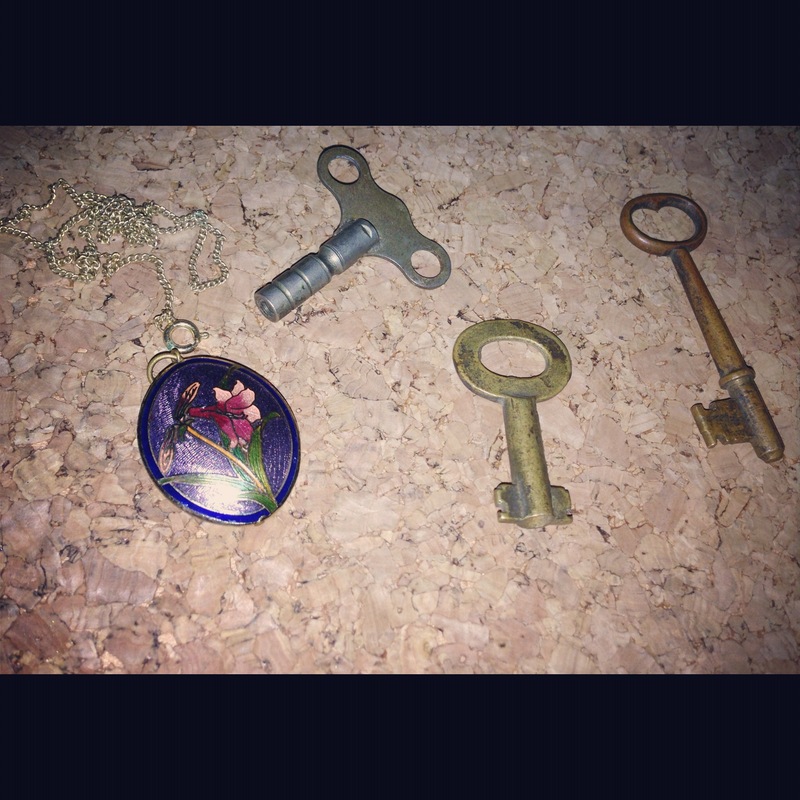 I also go t a skate key, an old floral pendent and some prison keys. 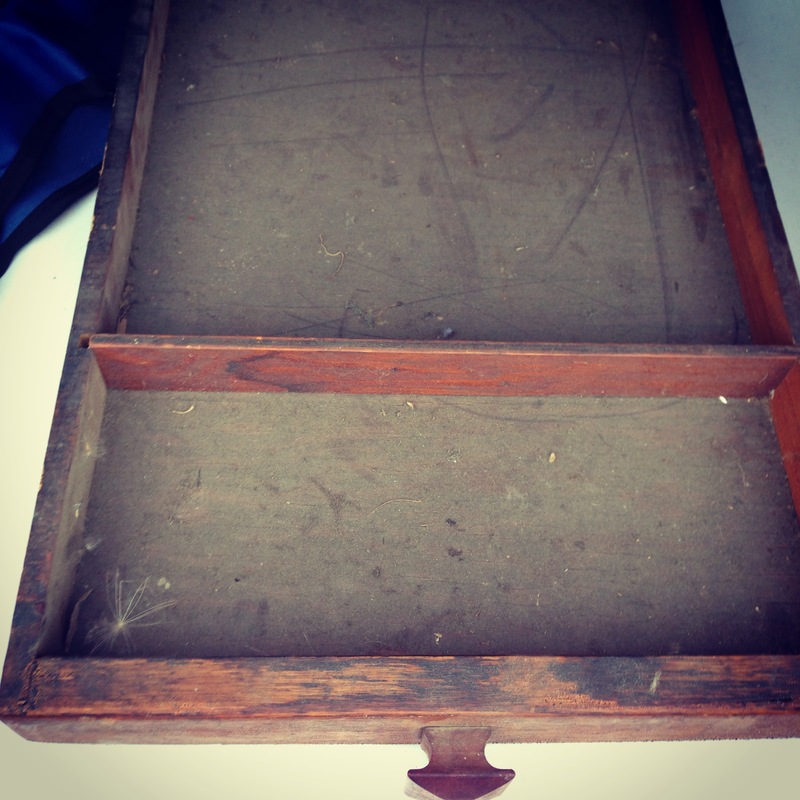 A few weeks ago, I was browsing at an estate sale and noticed a shallow drawer with a square knob on it. At estate sales, everything is for sale. Except this item was tucked in the corner of rubble-looking materials and had no price tag on it. The lady gave it to me for $4; I was stoked. My haggling skills are getting better each estate sale find I encounter. It’s such a fun process. I can’t wait until I can turn these items into beauties to use in my craft show display. School and work have to come first. For now. But I’m really excited that my collection of craft show display items and jewelry materials are growing. And when I graduate in May, it’s going to be a party of creativity. In the meantime, you can find my jewelry on etsy and in Whimsy located in Royal Oak, Mich.